Travel visas are authorized by immigration officials for short-term business, tourist or treatment engagements. Though the name "travel visa" implies a more casual approach, there are still important thing to keep in mind when obtaining a travel visa. There are two distinctions of travel visas classified by the Department of State. Those conducting affairs related to business or study must enlist for a B-1 visa. Those who are coming to the United States simply for the joy of travel and cultural enrichment, or alternatively for medical procedures, qualify for a B-2 visa. 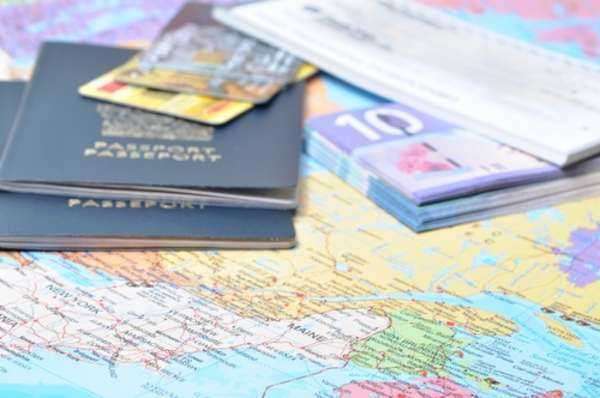 In addition, before even struggling to obtain a travel visa, one may be able to travel without it, especially if the country is Mexico or Canada, or they have ESTA approval and their nation is one of 35 qualifying nations under the Visa Waiver Program. Individuals from the countries who are eligible to participate in the Visa Waiver Program can enter at United States ports of entry without the need to complete a Nonimmigrant Visa Application form. However, this does not preclude the need to show valid personal identification and to be assured that one's passport does not need to be renewed if it was issued before a certain date. Otherwise, applicants should consult the embassy or consulate most convenient to them in their country of residence and schedule an interview to determine their candidacy. As with the application process for most visas, a consular office abroad will be a point of contact and a means of working with the federal government for the acquisition of a travel visa. In accord with Department of State recommendations, there are a few things to prepare when considering application for a travel visa. First of all, any inquiries of visa or passport status or realizations that a new visa or passport is needed should precede a trip, as the penalties for overrunning the prescribed bounds of a travel visa could result in future denials of visas or otherwise being barred from the country. Second of all, you should prepare to build fees and wait times into your assessment of the costs associated with processing a visa with your chosen consular office, including reciprocity fees if applicable. Thirdly, be aware of all relatively minor details that may await you at the visa interview, such as documentation of your intended stay, forms of ID, proof of available funds, and fingerprint analysis. With terms of the travel visa outlined in the visitor's paperwork and the supposition by the United States government that even short-term residence is a prelude to a permanent place in this country, there is an apparent contradiction. Effectually, though, while the alien coming to America must satisfy some requirements of being an immigrant, the travel visa is a non-immigrant visa on which exact travel dates must be verified. Exact forms must be taken into account for, as well. First and foremost is the Nonimmigrant Visa Application, which may be manifested in the form of the DS-156 and supplemental print forms or the complete, condensed DS-160 online application. Your confirmation of the details of the authorized trip will be recorded on your copy of the I-94 form, the Arrival/Departure Record. Often related to a particular country of origin, there are some special considerations for potential foreign travelers to the United States. Citizens from officially recognized border countries may be the beneficiaries of some relaxed restrictions on their transit, though depending on the nature of their stay, non-immigrant visas may be necessary. For residents of Canada and Bermuda, trips of up to 90 and 180 days, respectively, can be taken without the need for a visitor visa. As for legal Mexican residents, this may also be accomplished by the possession of a Border Crossing Card/Laser Visa, which serves the purpose of a dual status travel visa. Restrictions on a handful of countries and delays for additional administrative processing are increased for some countries. Inhabitants of countries accused of state sponsorship of terrorism are subject to additional forms and scrutiny. Even when special considerations are not made based on nationality, those seeking medical treatment must have signed authorization from a licensed American medical practitioner and the funds to pay for all treatments and procedures. With necessary travel visa requirements, as in special considerations for approval, country of origin and the nature of the stay can go a long way in confirming an applicant's eligibility and completing the travel visa application process. Once more, there are general requirements for visa processing. The parameters of the visa must be closely observed, too. In most cases, the visa will be only be valid for ninety days upon arrival. To solicit changes, Citizenship and Immigration Services should be notified prior to expiration of visa documentation. The applicant, as part of his or her interview, should likewise be prepared to possess information related to his or her travel. This includes documents that will provide evidence of the reason for their journey, proof of financial support, and a compelling reason for the applicant to return home.